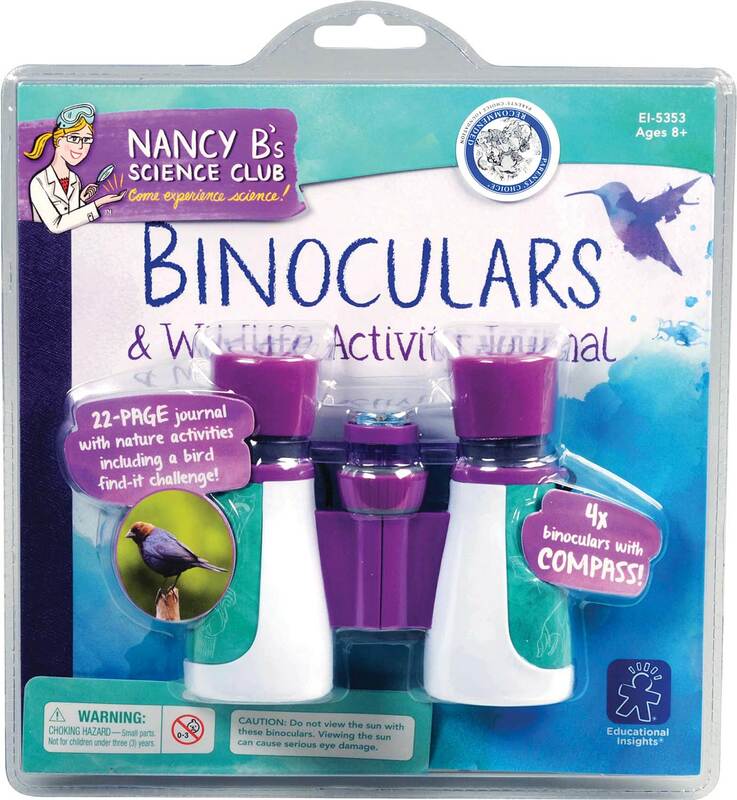 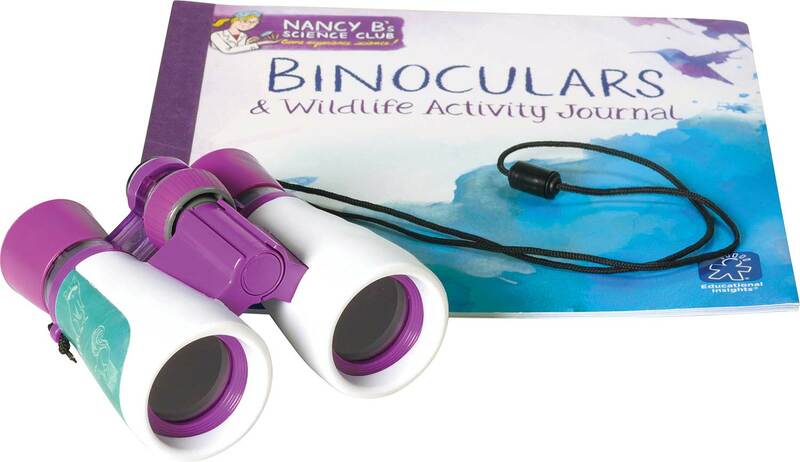 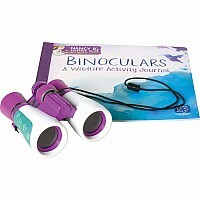 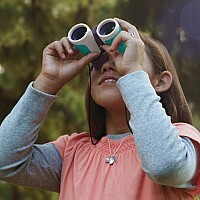 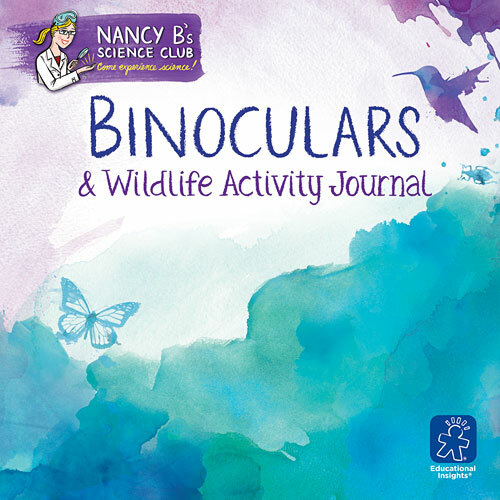 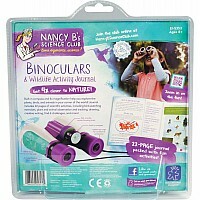 Nancy B's Science Club Binoculars and Wildlife Activity Journal Experience science with Nancy Balter! 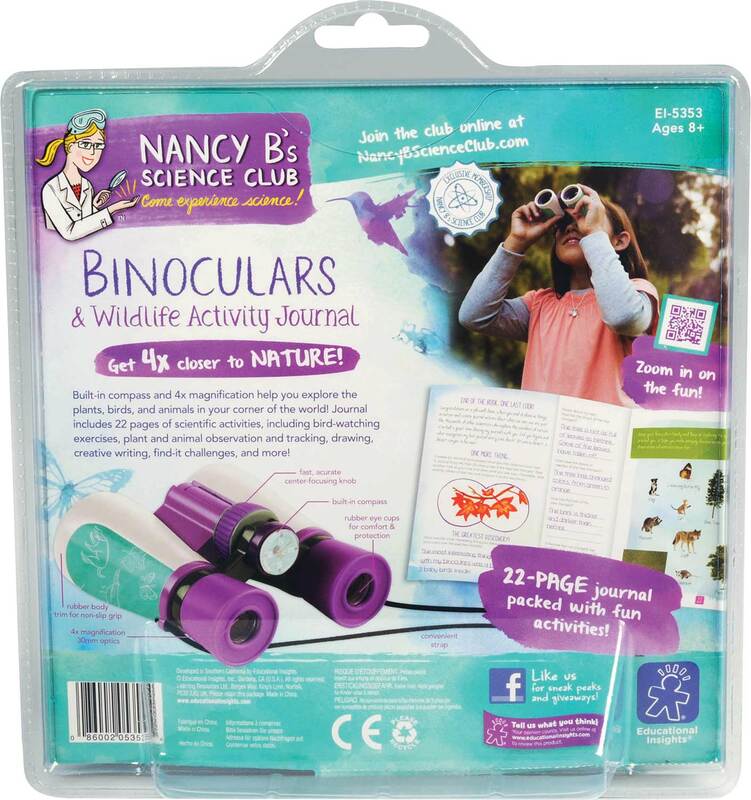 Nobody knows science like Nancy. 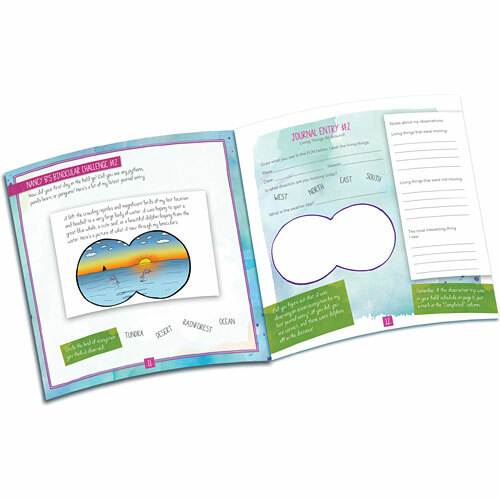 Her brand-new line of scientific tools and real-life journaling activities provide hands-on science experiences that get kids comfortable and excited about science, giving them the confidence to pursue science further in school and in life. 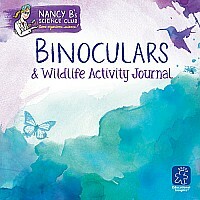 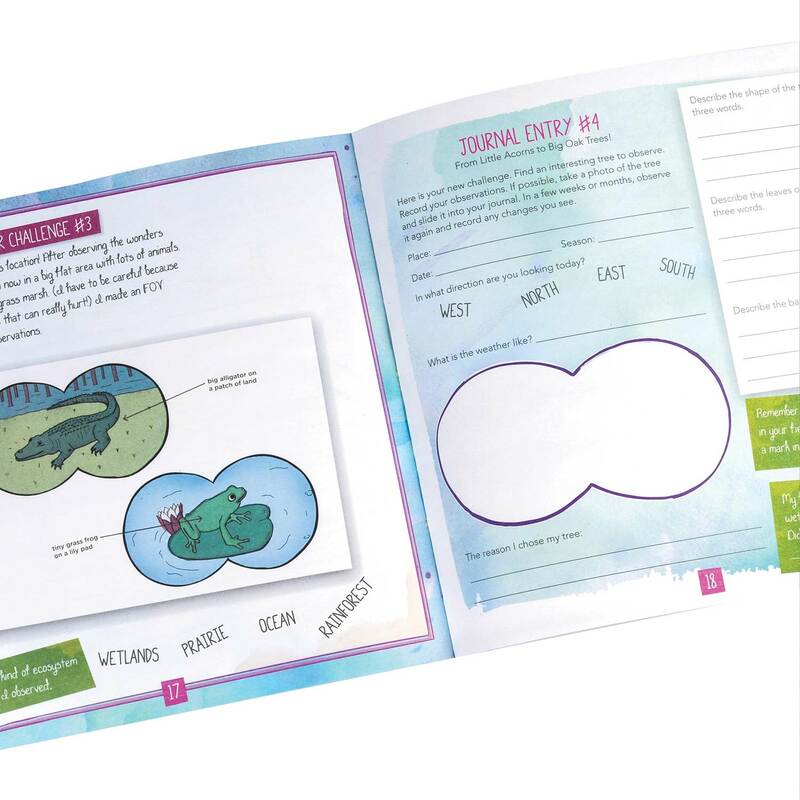 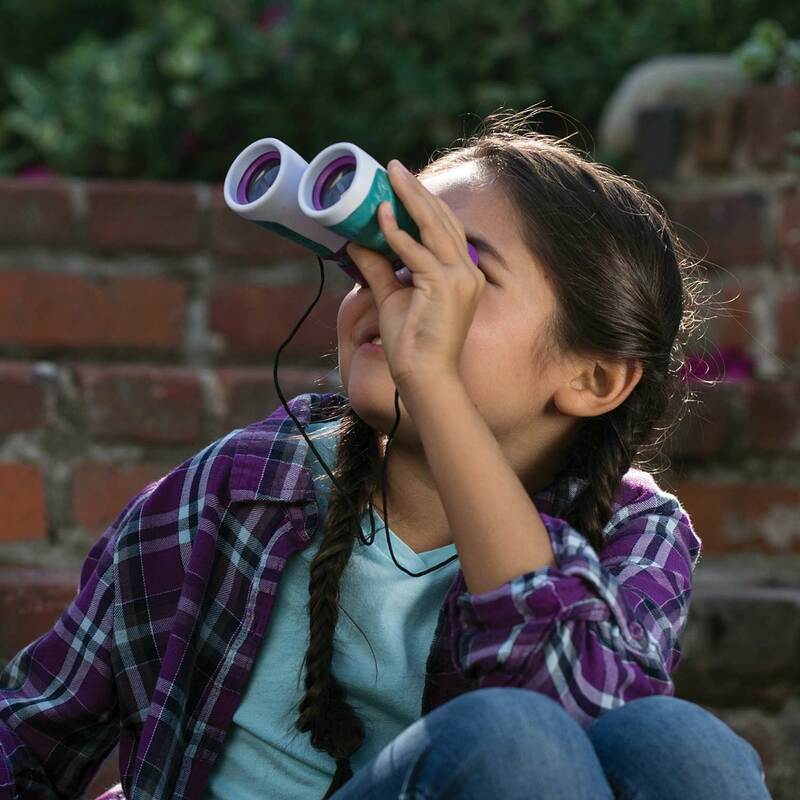 Scientific experiences designed for kids ages 8-11 Binoculars and Wildlife Activity Journal includes binoculars with built-in compass and twenty-page Nature Activity Journal with animal, bird, and tree observation activities plus ecosystem challenges, story prompts, and more. SMALL PARTS . 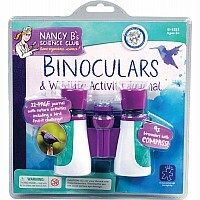 Not for under 3 yrs. 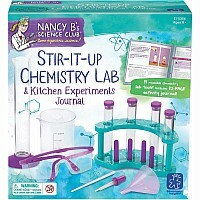 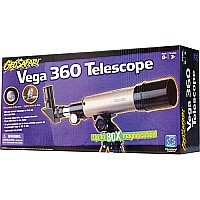 Measures approximately: 0.75 x 8.50 x 8.50 inches..